Our collection includes books on Jewish history, practices, humor, cooking and art. There are many biographies and memoirs of Jewish people, as well as a variety of types of fictional works by Jewish authors. 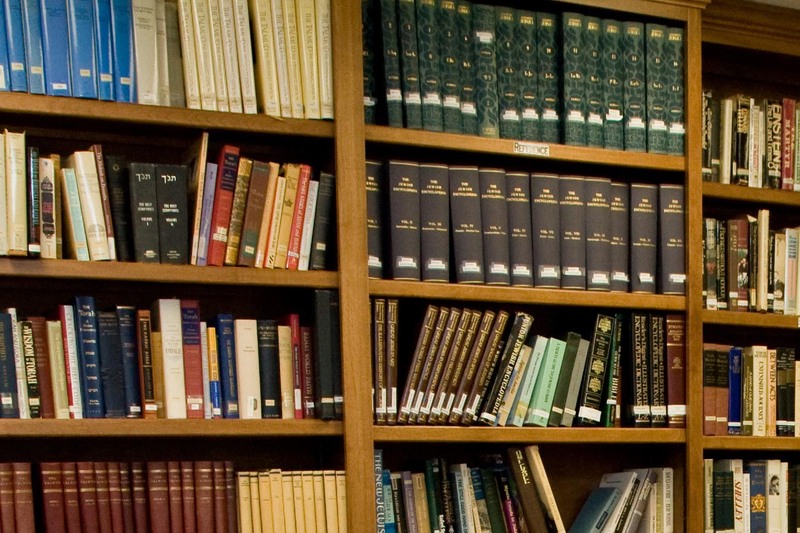 Other topics represented in the library are philosophy and comparative religion. Our Youth collection includes a youth section that includes both fiction and non-fiction picture books and chapter books for our young adult readers. Religious School students use the library some Sunday mornings to hear a story and check out books. The Library Committee (Terri Cohen, Kathy Ormond, and Sue Reider) is busy refurbishing the library. There is usually at least one of the committee members busy in the library on Sunday mornings during Religious School hours and we always welcome help with our work. Donations of books that would enhance our current collections are always welcome. Books can be placed on the table in the library with a note of explanation. Another way to help enhance our library is through a donation to the Gasway Library Fund. Please donate by using the form below or on our Donate page. Thank you to all who decide to donate. The youth collection (particularly the young adult section) needs updating and will be the first collection the committee will look at enhancing. Check out the display in the lower lobby of the many cookbooks available in the library. There are usually at least one of the committee members busy in the library on Sunday mornings during Religious School hours. The committee always welcomes help with their work.